A timekeeping icon made for diving enthusiasts and underwater exploration. I’ve been testing it on dry land, trying to answer the question how such a large divers’ watch performs in urban environment. If someone had asked me about a Rolex timepiece I would like to see on my wrist, I would have point to one of the divers’ watches straight away. 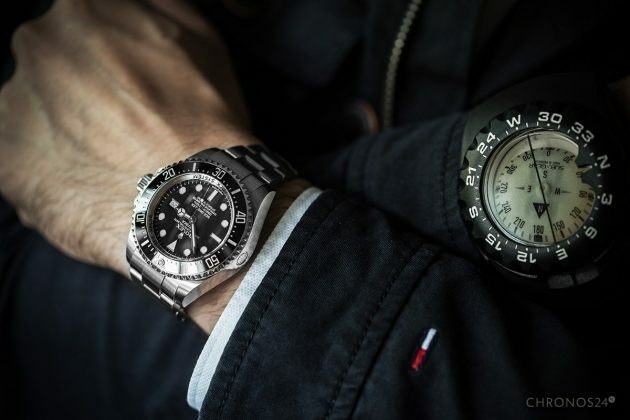 For some reason I have never considered myself a fan of costing an arm and a leg Daytona or Datejust models; but, this Swiss manufacturer’s “divers” were always on my must-have collector’s list, with Submariner in particular. 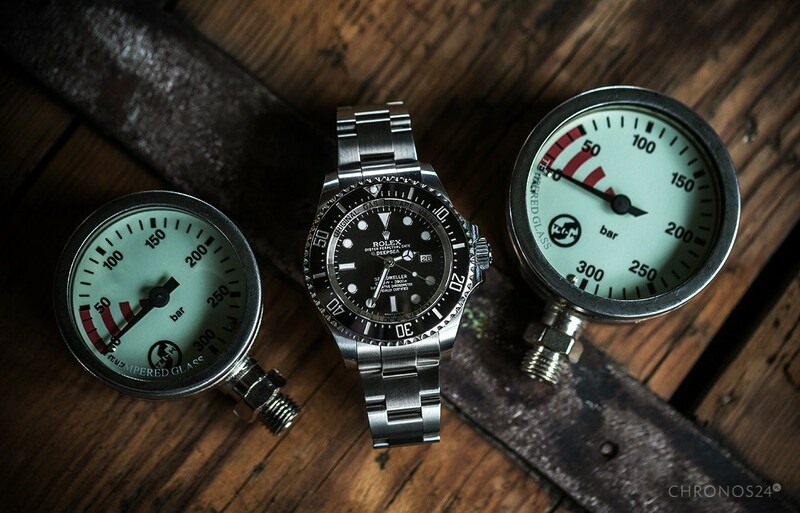 Reviewed here Sea-Dweller Deepsea has also been close to my heart, even though I considered it as a timekeeper for genuine divers or men with a slightly different posture than mine. Yet, after spending two weeks with it, I can say one thing, we got to like each other a lot. Despite its fair weight and the fact that not all of my shirts have enough space under the cuff to accommodate mentioned Deepsea, I must say that parting with it wasn’t easy. 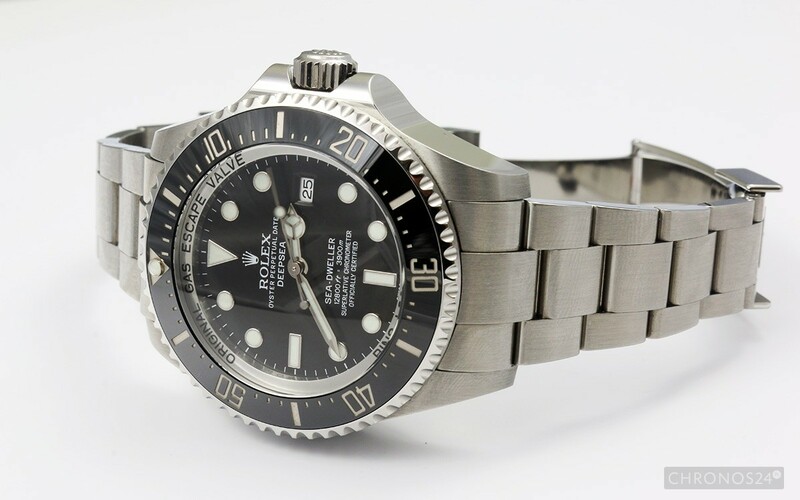 Rolex Oyster Perpetual Date Sea-Dweller Deepsea (SDDS) ref. 116660 debuted in 2008 as a successor of the Sea-Dweller model ref. 16600. Mass-produced, water resistant up to 3,900m SDDS was a real record-holder in this field when it was released for the first time. The level of 12,800 feet has been achieved thanks, inter alia, its thick convex sapphire glass, its inner ring and titanium caseback. 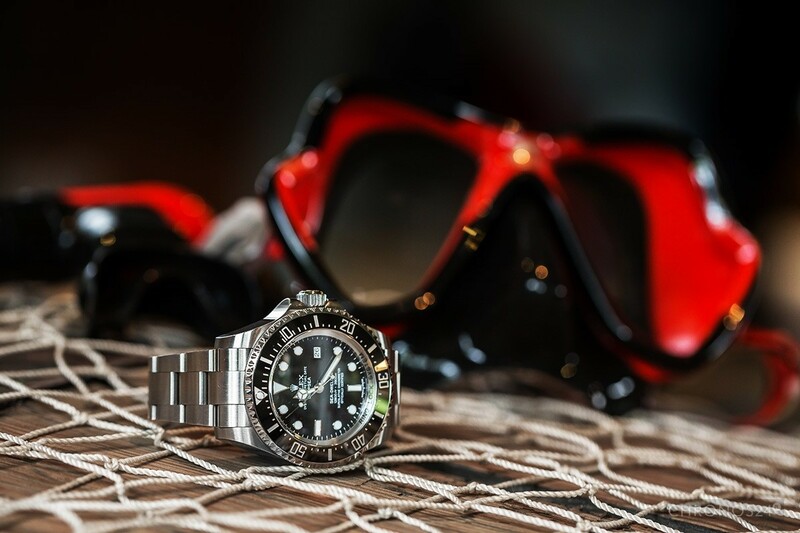 Although I’m aware that divers rarely wear mechanical watches during underwater exploration, I must honestly admit that Rolex is not an amateur in this matter. Already in 1960, US Marine Bathyscaphe Trieste went down almost to the bottom of Mariana Trench as deep as 10,916m. 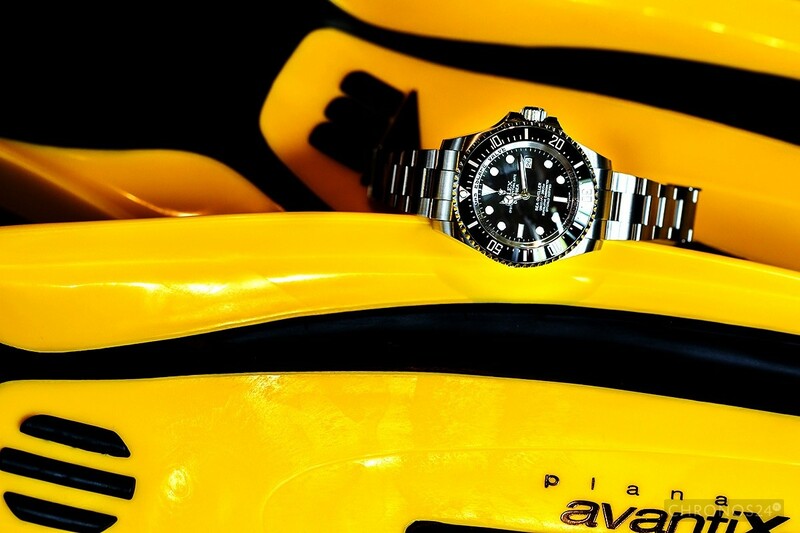 There was a special version of Rolex Deepsea attached to its hull. Over 5 decades later, National Geographic and James Cameron organized expedition into the Challenger’s depth; the stunt was accompanied by none other than Rolex, the most water resistant mechanical watch (WR12,000) – Deepsea Challange. SDDS’s dial doesn’t have a grainy structure, known from other manufacturers’ models. It has been given a very nice black matte finish with a whole litany of words on its surface (Oyster Perpetual Date Deepsea, Sea-Dweller, 12800ft / 3900m, Superlative Chronometer Officially Certified), considered by many people to be affecting its readability. Additionally, there are two extra tag lines on its inner ring: Original Gas Escape Valve and Ring Lock System. 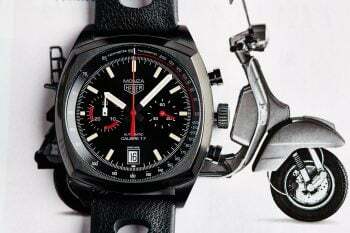 Such an accumulation of writings doesn’t bother me at all; I think it gives the timepiece a technical character. Especially, that Ring Lock’s engravings don’t stand out in everyday use. 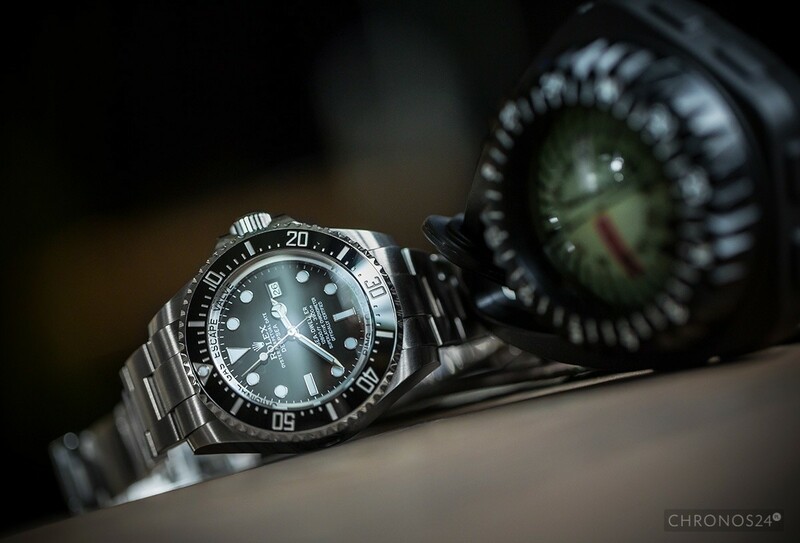 While talking about the dial we must not forget its hands; those in SDDS are wider than in standard Submariners. 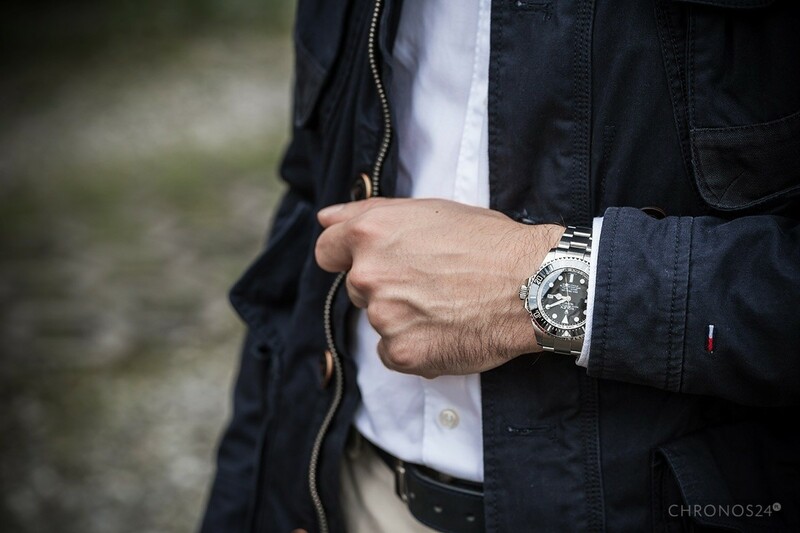 As a luminous material Rolex used his own, patented Chromalite, which gives a strong, blue glow. A 5.5mm thick convex sapphire glass is protecting the whole thing, without anti reflexive coating this time; even though, the timepiece looks like there was no glass at all at certain angles. Bezel has been made of polished ceramics in deep, black colour which – along with scale markings and a little triangle filled with blue lume – looks great! 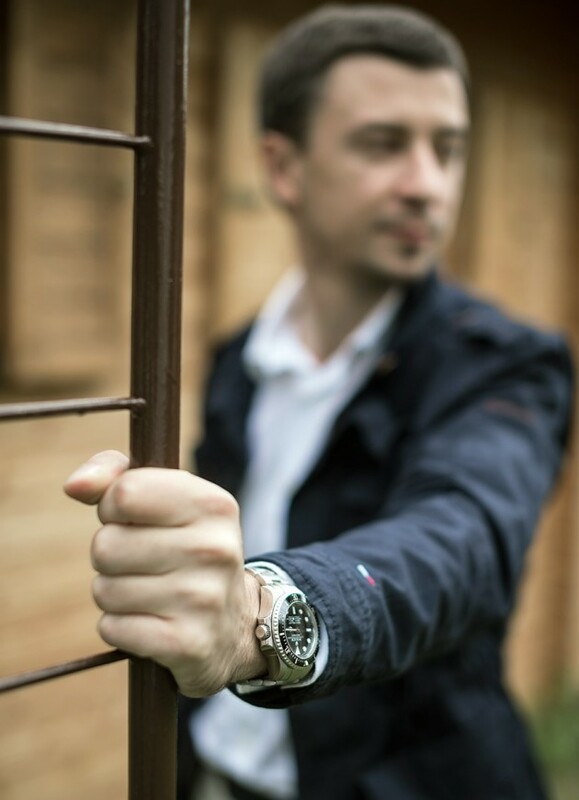 It rotates anticlockwise with 120 clicks using ceramic ball bearings, and works perfectly; the movement is smooth on one hand, but very steady and accurate on the other. What has drawn my attention, was the feeling of “suspension” i.e. the whole bezel seems to be suspended on springs. It can be lightly pushed in towards the case, then it goes back to previous position when released. 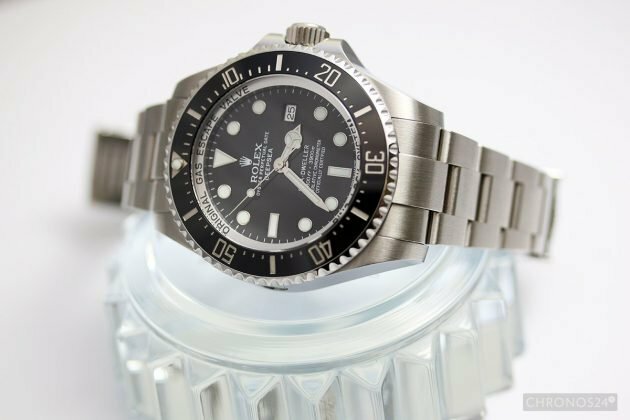 Deepsea is one of the rare Rolex timepieces with date window without a typical, distinctive little magnifier. 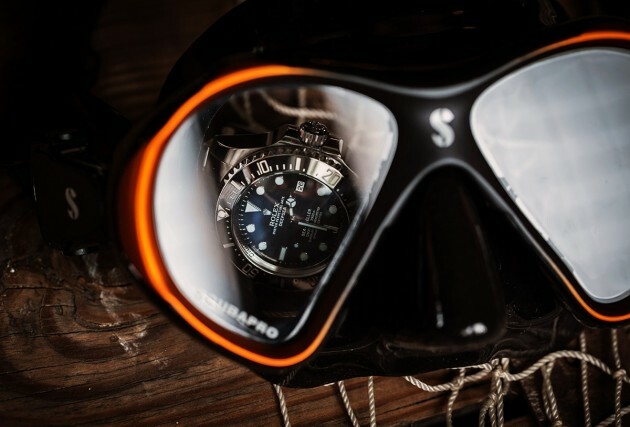 Some say that the famous “Cyclop’s eye” would come off at great depths; others say that longer distance from the dial (caused by thicker glass) could give too strong magnification, which wouldn’t look very well. On the right hand side of the case we can see a guard protected Triplock crown keeping Rolex divers’ tickers company since 1970. 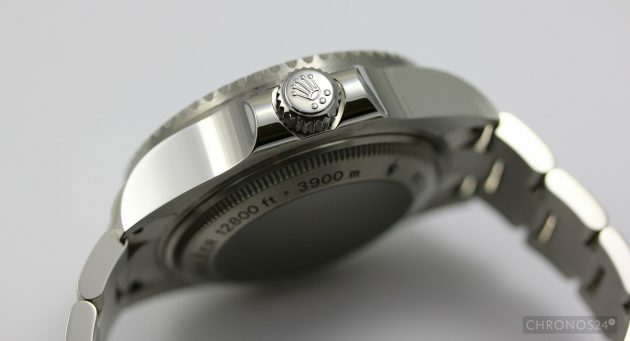 It consists of three sealed zones, which indicate water resistance level; the three-dot telltale mark can be found on the crown under embossed firm’s logo. 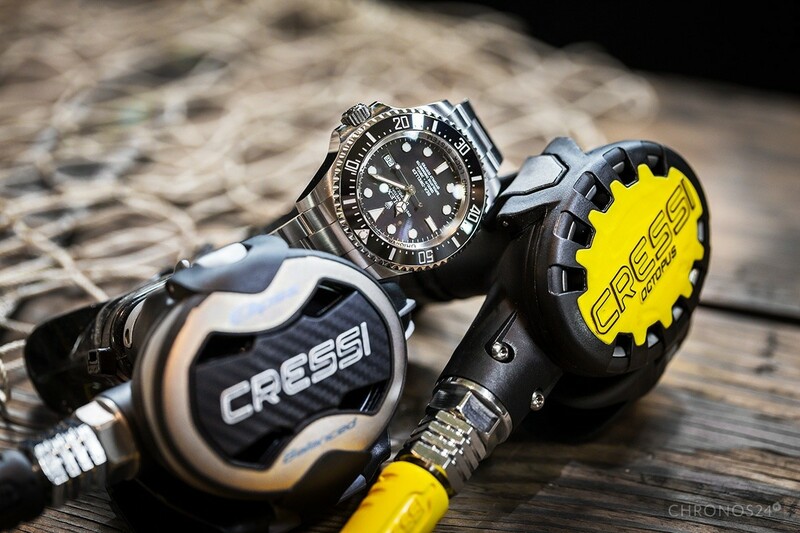 Across the dial, at 9 o’clock, an automatic helium release valve is located; used by few deep-sea divers, which use helium-saturated atmosphere in order to avoid air toxicity. It’s never going to be used during conventional diving. 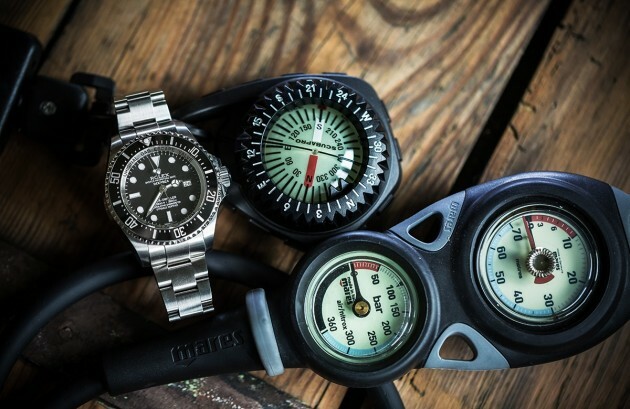 The valve itself has been created in cooperation with DOXA in order to meet requirements made by Comex (Compagnie Maritime d’Expertises), a company established in 1961 and specializing in underwater exploration. 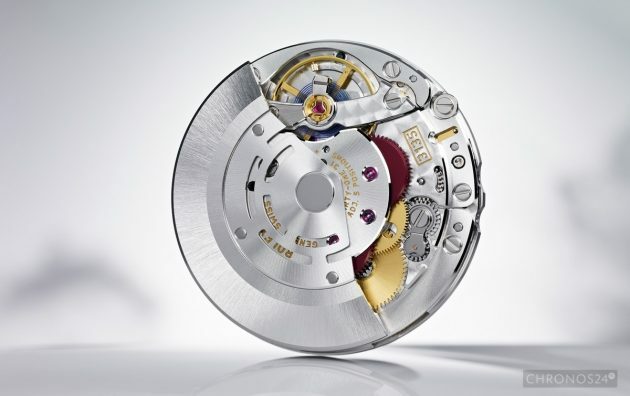 From the bottom it has been given a titanium caseback (slightly darker), kept down by a stainless steel screw-in, known from other Rolex models serrated ring, virtually without any incrustations. 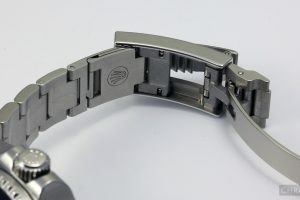 A real work of applied art, which I could go on and on talking about is the Glidelock buckle; it allows to adjust the bracelet in a mater of seconds even without taking the watch off the wrist; it can be tighten or loosen up within 2cm range (with 2mm step). 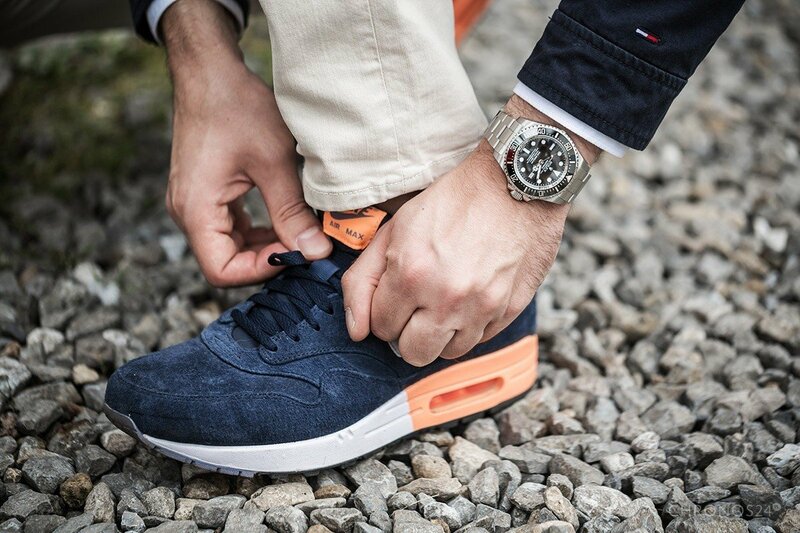 I came to appreciate it during summertime, when my wrist size was slightly changing with weather conditions. 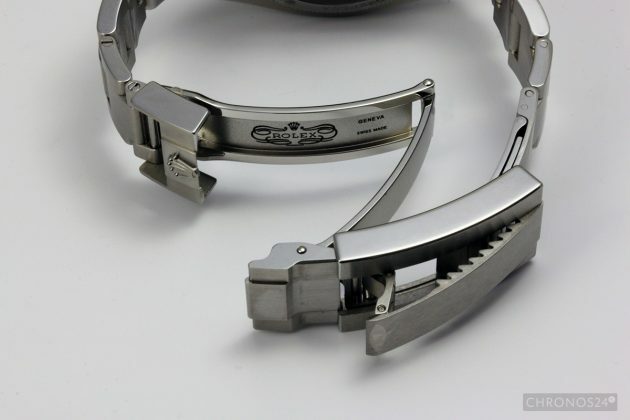 Additionally, thanks to the perfect fit, it doesn’t slide up and down the hand making the crown to cut into the skin. 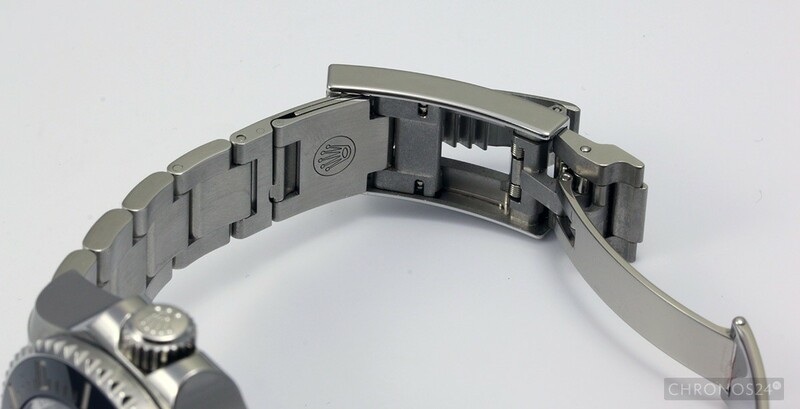 For those who want to fasten it on top of a diving suit the Swiss have provided an extra “unfoldable” link extending the bracelet sufficiently – “diver’s extension”. 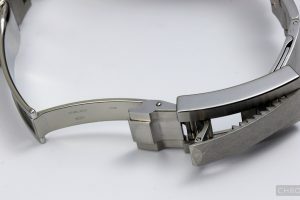 I admire Rolex for manufacturing precision of the buckle – all components fit together perfectly, there is no jamming or rubbing. Considering the volume of production (around 1 million pieces per year) and its automation level, it’s a huge advantage! The buckle fastens a stainless steel bracelet with polished edges; the rest of it is brushed. 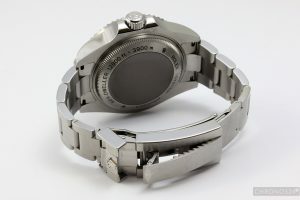 Despite many people’s objections that the links are too narrow comparing to the diameter of the case; the whole thing fits the wrist very well and most importantly, it does not pull hair. My only complaint would be a squeaky sound it makes when moving. I know that all it takes is a bit of oil, but I would expect the manufacturer to take care of this in a new watch. Now it’s time for the case. Its lateral surfaces are polished, the rest – slightly brushed. The timekeeper’s dimensions are: 44mm diameter and 17,7mm height. The whole thing, including 5mm glass and a bracelet shortened by a few links, weights just over 200 grams. It’s a lot, but I must say that I could only notice it for the first 4hrs of wearing, for the next 2 weeks I wasn’t even aware that there was anything on my wrist. 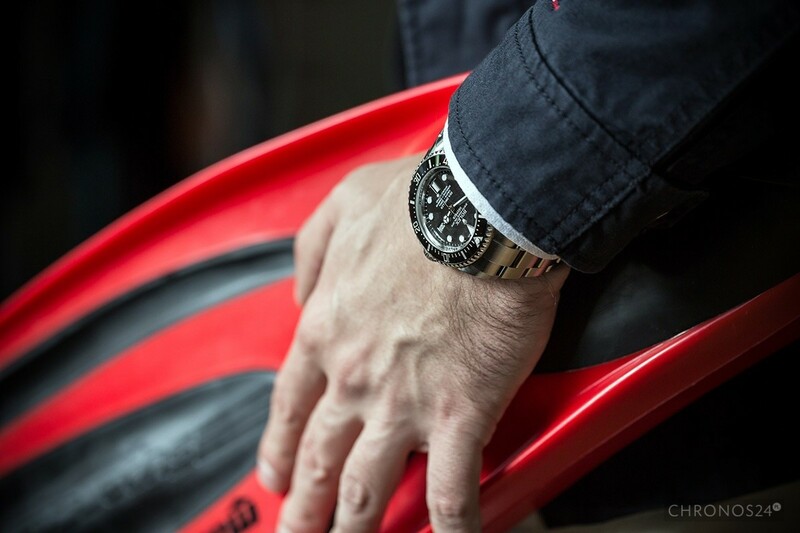 An indestructible case contains the COSC certified 3135 calibre. 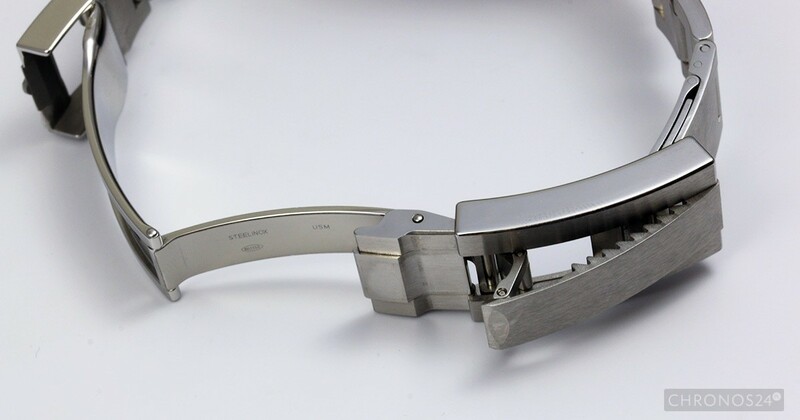 It has been equipped with a shock absorbing Paraflex system, anti-magnetic Parachrom hairspring and central, bidirectional self-winding via Perpetual rotor. The 3135 works at 28,800bph, featuring date function along with its fast adjustment and a stop-second allowing accurate time setting. I have tried to perform different homegrown accuracy tests and managed to establish that when fully would, it lost approximately 2-3 sec per day. 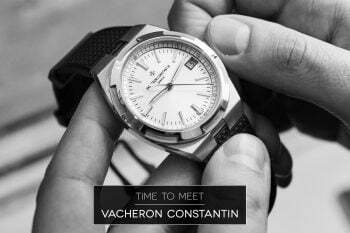 Its deviation has increased to 4-5 sec (slow) in the space of 24h, when the watch was left untouched for equal amount of time, making it compliant with the COSC standard. 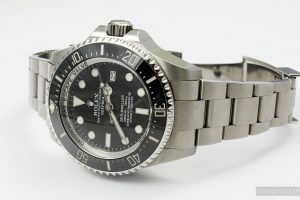 Rolex Oyster Perpetual Date Sea-Dweller Deepsea is definitely the heaviest watch which stayed on my wrist. Even recently reviewed PAM372 with its 47mm was a lot lighter. Was the weight a drawback in this case? Obviously not. It might be a question of preferences, but as far as I’m concerned, this ticker suited me just fine. 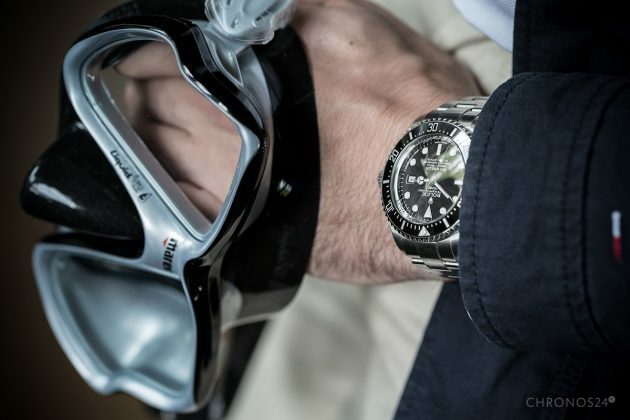 Firstly, because it’s comfortable and mainly owing to the Glidelock buckle fits the wrist perfectly; secondly, for being consistent – it has been created as a diver’s watch for professionals and looks exactly like one. 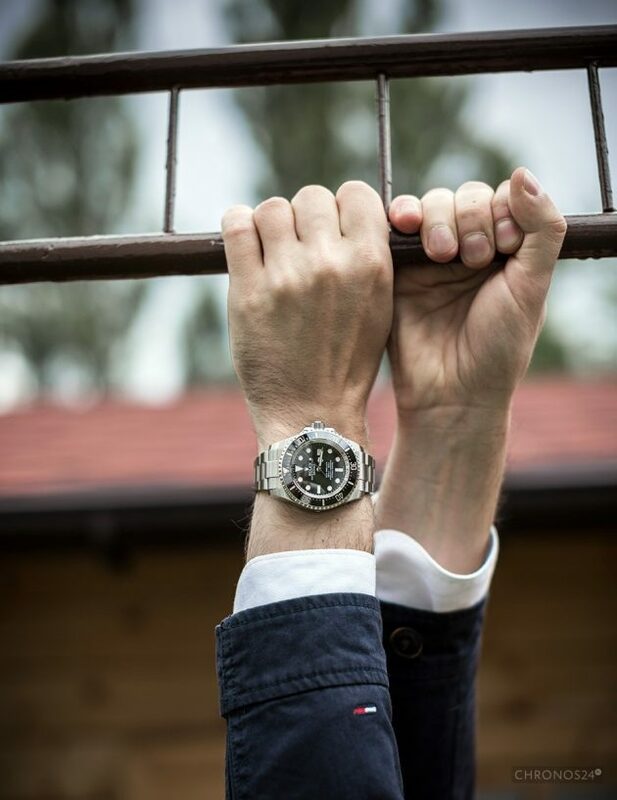 Its strong technical character, good readability (in spite of the dial being busy with too many words), also at night thanks to Chromalite, great workmanship and perfect matching of all components plus distinctive for Rolex quirks – just as a “Mercedes” hand are its undeniable assets. A little bit bothering for me was the fact that its lateral polished caseback surfaces were easy to scratch, but all it takes is a polishing to make it as shiny as new. However, if you think that SDDS is somewhat too bulky, an actress Charlize Theron, who wears it from time to time on her wrist, might convince you. 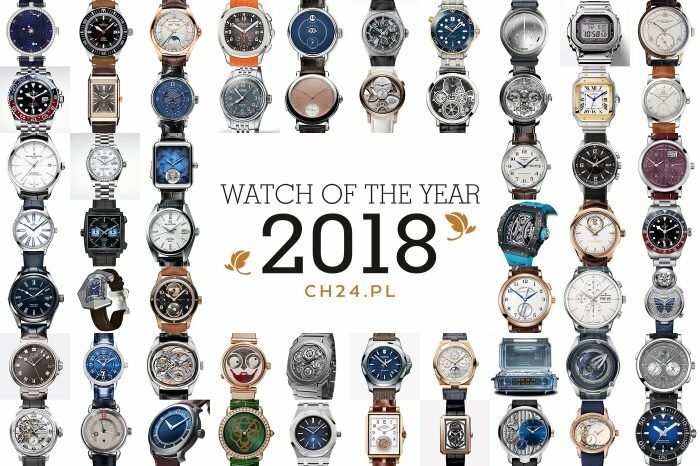 Watch provided by W.KRUK, distributor of Rolex in Poland. We also thank diving center Hydrozagadka from Katowice for help in photo session.